I do still receive notifications via email if you guys comment! so don't worry about me not seeing a comment, I will still visit every once in a while to post some of my best work but I mainly use DeviantART now. I'm a fantasy/anime artist, I draw mostly in pencil, but I will occasionally do digital work as well. Feel free to take a look around my gallery if you like. 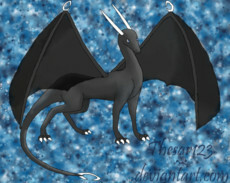 I have a Deviant Art account too, my username is Thesar123. *note: I apologize in advance to those of you who ask me for requests, I do not always do them in a timely manner. This is a valentine's day special by your's truly. Hope everyone enjoys the day and best wishes. hey how it going can you draw a picture of me and Fubuki. I have white hair and brown eyes and Fubuki on my profile.